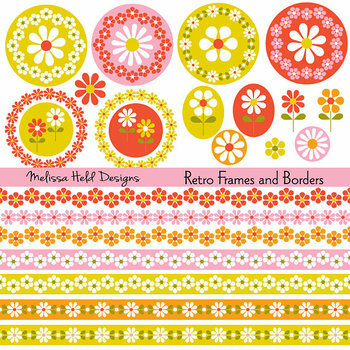 This is a clipart collection of vintage style floral border patterns, frames, and icons by Melissa Held Designs. You can use these icons to create greeting cards, scrapbook embellishments, stickers, gift tags, newsletters, labels, blog and web design,and for any other digital or paper design project. This includes 22 JPGS and 28 PNG files on transparent backgrounds. Borders are 12" wide and vary in thickness. You may use this product as a classroom resource or for personal projects only. If you plan to create and sell a product using or incorporating my images please contact me for permission, credit, and/or usage fee.